(formerly air transport division of Rosenbalm Aviation) (FSX) (Ypsilanti) 1990 - 1991. Photos. Framable Color Prints and Posters. Digital Sharp Images. Aviation Gifts. Slide Shows. 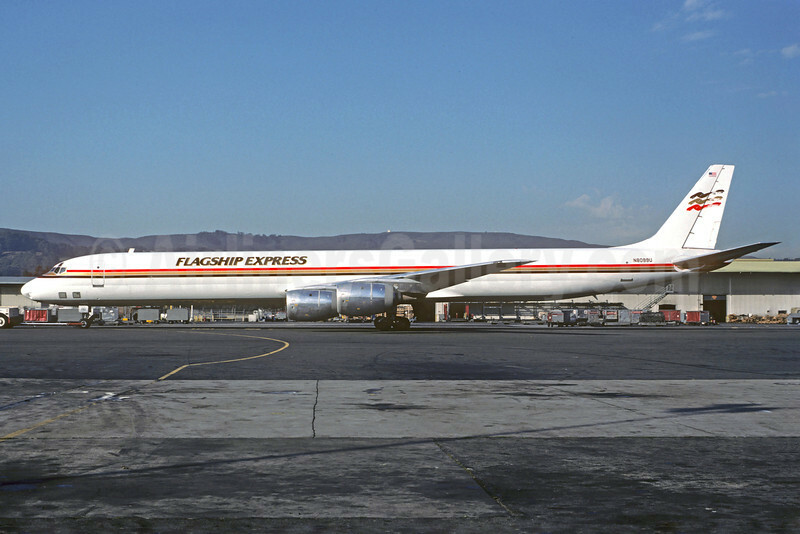 Flagship Express McDonnell Douglas DC-8-71 (F) N8099U (msn 46066) BUR (Christian Volpati). Image: 911174. Thank you Nick for the memories. I am sorry it did not work out for you. My goal with the AG is document all of the airlines, past and present, so the history is not lost. All the best.